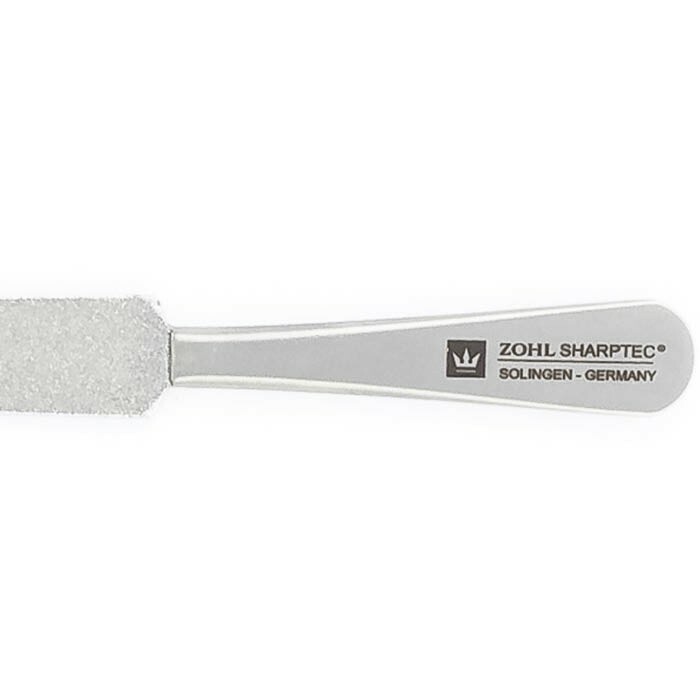 ZOHL introduces the highest quality sapphire nail files made in Germany from surgical stainless steel. 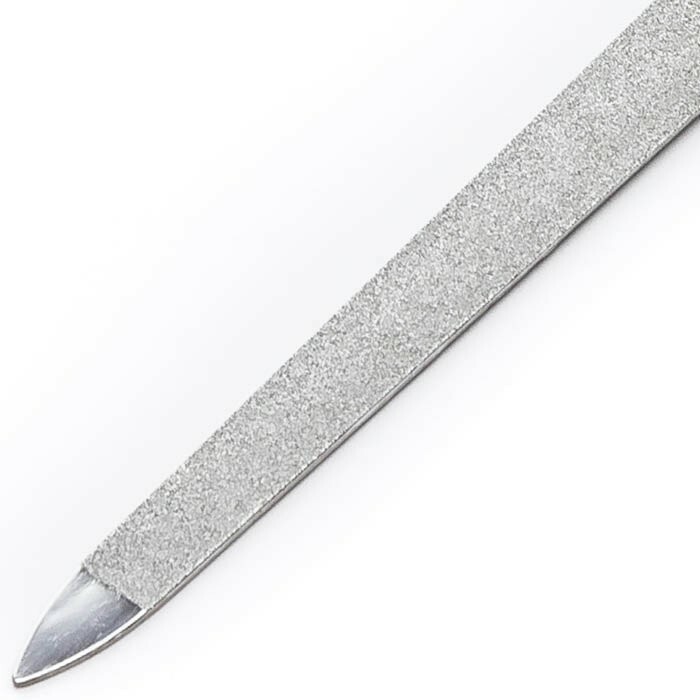 With a generous amount of chromium that glues abrasive particles properly, ZOHL nail files are very durable and capable of shortening even very thick toenails. 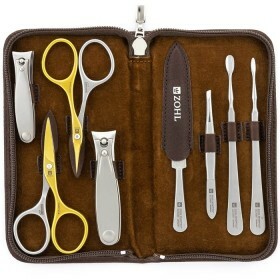 Rust proof stainless steel makes them a perfect tool to use after shower, to remove excess length or smoothen edges after nail trimming. 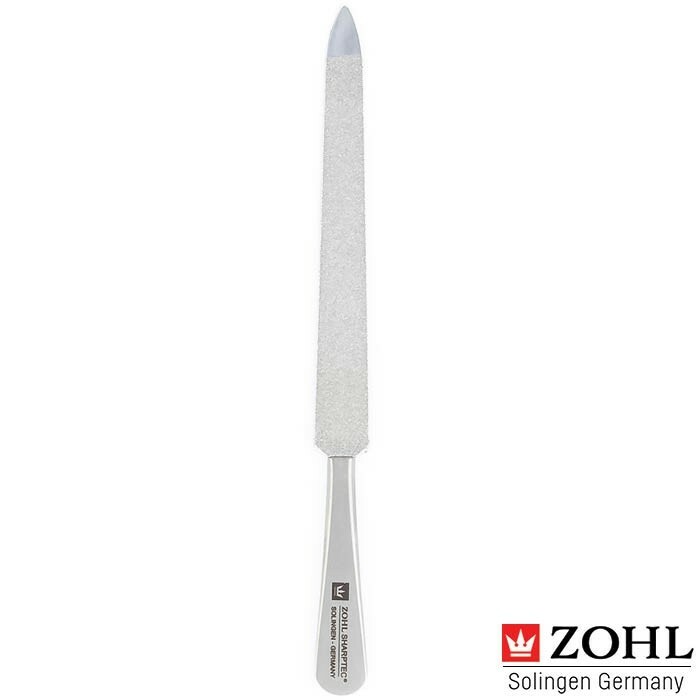 Fine and coarse sides allow nail detailing to the desired shape, while solid construction makes the ZOHL sapphire nail file practically indestructible. 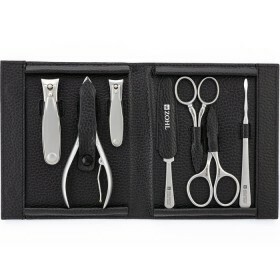 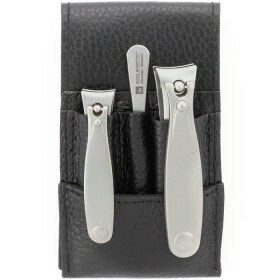 Add professional slant to your manicure and pedicure with the best sapphire nail files by ZOHL. 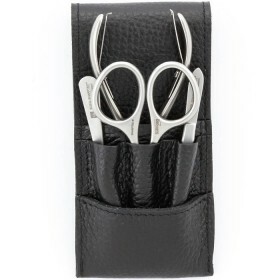 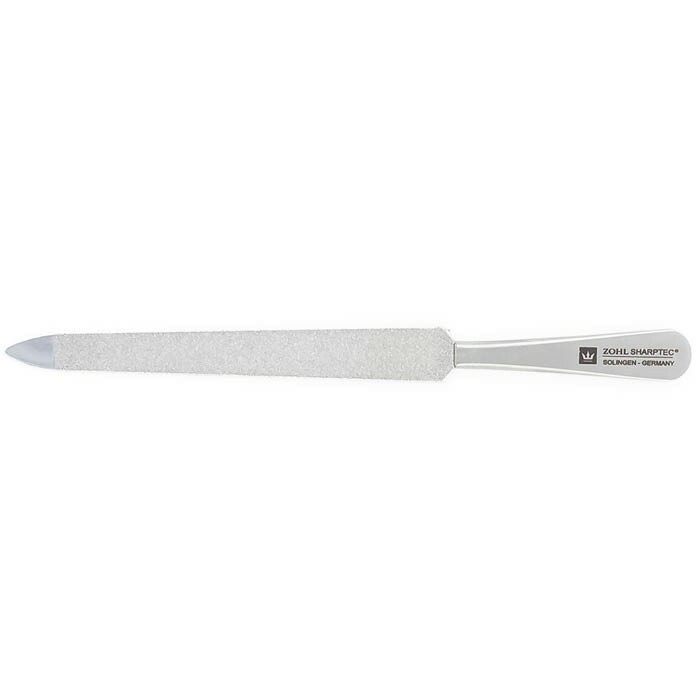 Crafted from anti allergic stainless steel, they do not contain any nickel and make a great nail care tool for sensitive skin and nails. 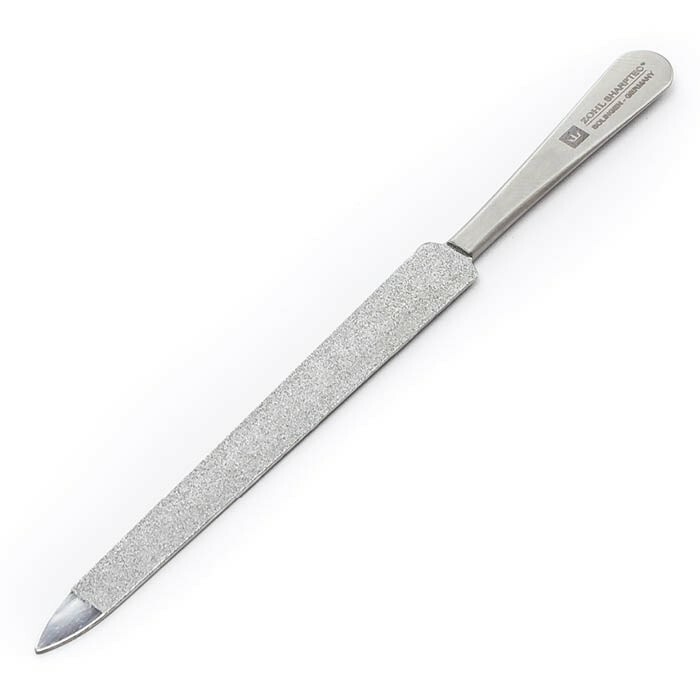 Use rough side to shorten nails and the fine side to remove jagged edges. 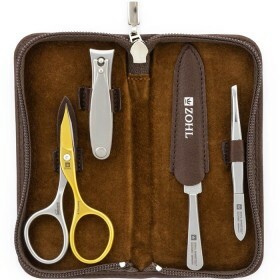 ZOHL nail file is breakage-proof, featuring a solid stainless steel handle, with noble satin finish, and a well-sized blade with fine and coarse sapphire grains, adhered by sufficient layer of chromium. 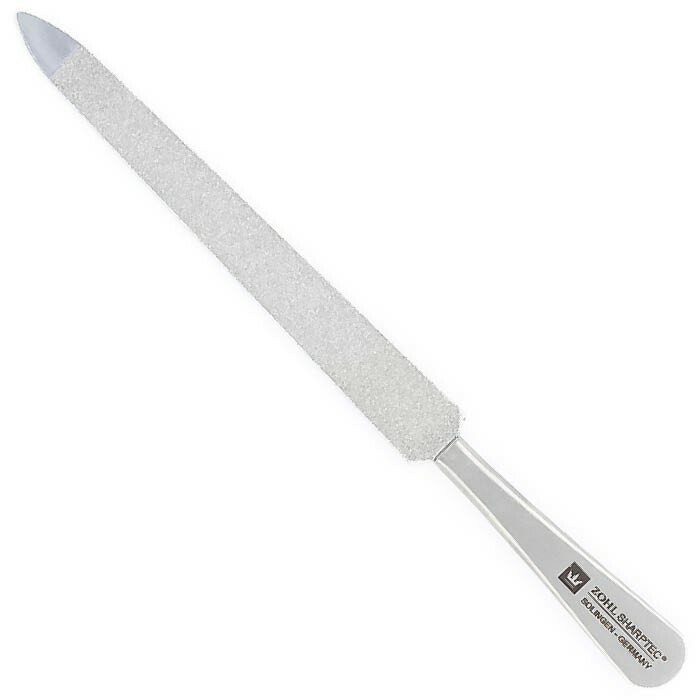 This adds maximum stability and durability of the coating, and ensures even filing all along the nail edge.